How to pay my invoice by credit card? To pay your HotelRunner service fee, please follow My Property / Account / Billings sections from the upper menu of HotelRunner extranet respectively and click the invoice that you would like to pay. When you click the Add Credit Card button over the right side menu of opening page, the system will direct you to fill your credit card details. 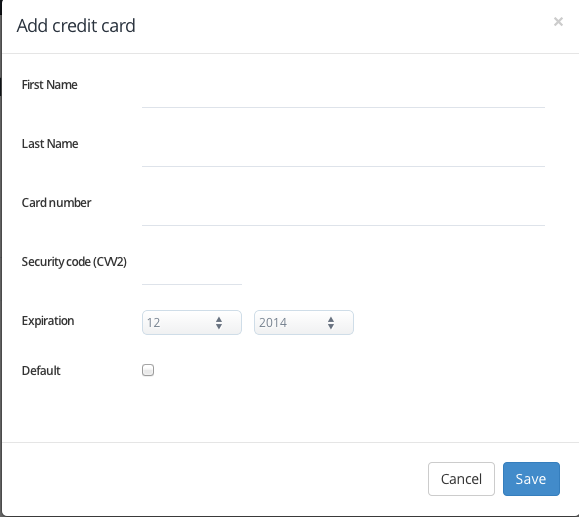 After saving your credit card details, the Pay button will be visible on the right side menu. You can complete your payment by clicking that button.